Posted on June 15, 2017 by thelostlighthouse	in Comics, Literature and tagged Andy Kubert, Batman, comics, comics reviews, Dark Days The Forge, Dark Nights Metal, DC comics, DC Comics Metal, Green Lantern, Hal Jordan, James Tynion IV, Jim Lee, John Romita Jr., Literature, Metal, Mister Miracle, Mister Terrific, Sci-Fi, Scott Snyder, super hero comics, superhero, The Forge, The Lost Lighthouse, TLL. This week I checked out the ludicrously titled Dark Days: The Forge, the one-shot prelude to the upcoming equally ludicrously titled Dark Nights: Metal series from DC Comics. It has been oddly under-marketed it seems, and I was only made aware that it was coming and that it was being released this week because I follow Scott Snyder on Twitter. 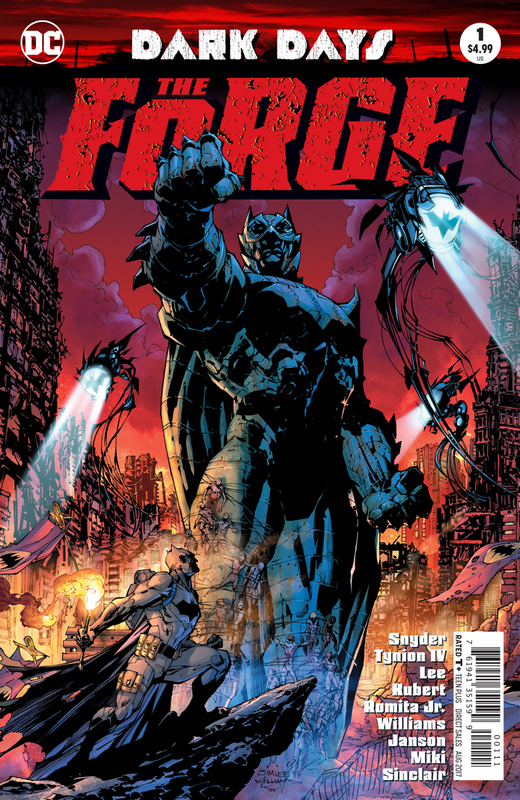 Dark Days: The Forge was written by Snyder and James Tynion IV, with the art by Jim Lee, Andy Kubert, John Romita, Jr., Scott Williams, Klaus Janson, Danny Miki, Alex Sinclair, Jeremiah Skipper, and Steve Wands. Dark Days jumps between three main narratives. First is Carter Hall, or Hawkman, almost as a journal entry as he recaps his life (or lives) and his curse, the Nth metal that grants him rebirth and how he is tied to his love Shiera and the villainous Hath-Set. But there he also has impossible memories shimmering in the background, memories that look like a dystopic future in the grip of one he would call an ally. The other two narratives, taking place in the current day, tie in a little more closely (for now). 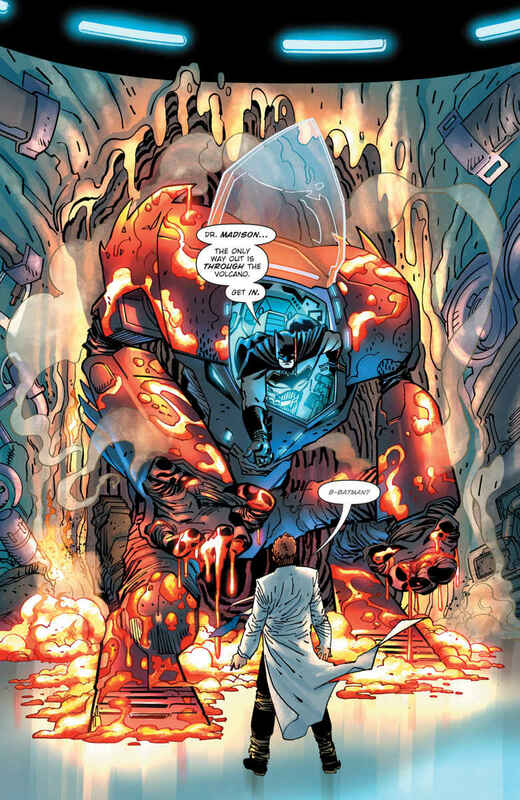 Batman rescues a scientist from a Wayne blacksite as a volcano erupts. He has been investigating metals, and something is wrong with the metal of the Earth. Batman’s investigation seems to not only go beneath the Earth’s crust, but to the surface of the Moon (well, a Batcave on the Moon), to another universe, and to a secret vault in the Fortress of Solitude as well. 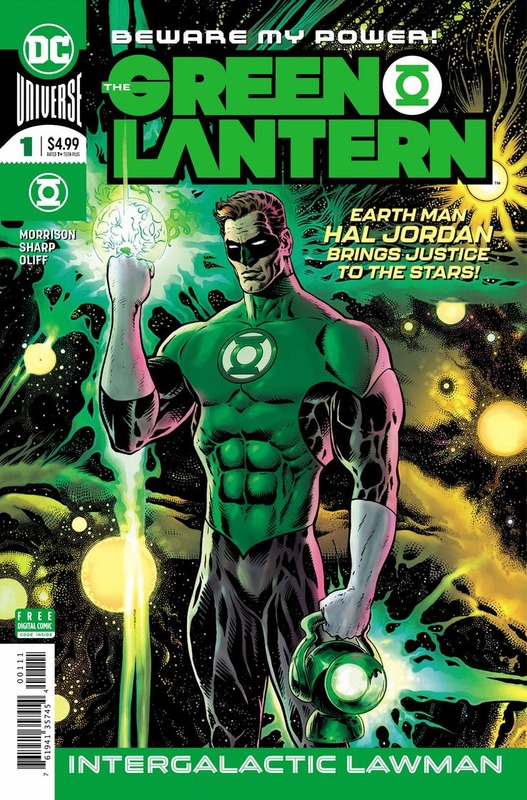 Meanwhile, the Guardians send Green Lantern Hal Jordan back to Earth, to investigate the Batcave itself. There, with current Bat-sidekick Duke Thomas, he finds a secret Batcave within the Batcave, indicating that Batman has been investigating something for a long time with a secret team, without letting the Justice League or the Bat-family know about it. Whether he can be trusted remains to be seen, but Hal doesn’t seem to be the only one troubled by all of this. Dark Days: The Forge is a very strong opening to Metal, and with Scott Snyder re-teaming with his Batman collaborator Greg Capullo (oddly absent on this issue) for it, it is sure to be a blockbuster event. Snyder and Tynion IV have both written Batman in one form or another for a while now, so it doesn’t come as a surprise that they have a firm handle on his character and dialogue. Its nice to see a similar care and approach taken to some of the other cast members here, including those seen less often such as Mister Terrific and Mister Miracle. At its core, this series appears to be shaping up as a Batman-centric Justice League event, rather than just a Batman story. And that is important, as there is a worry and a tendency to remove some of the appeal of Batman by making him almost godlike, or making his origins stretch back to the dawn of time (looking at you Morrison). I hope this series doesn’t dip too far towards that, but for this issue it doesn’t rear its head too much. The ongoing mystery of the metals takes cues and threads from throughout Snyder’s run on Batman in such an impressive fashion too, that I can’t help but be drawn in by what it all might mean. 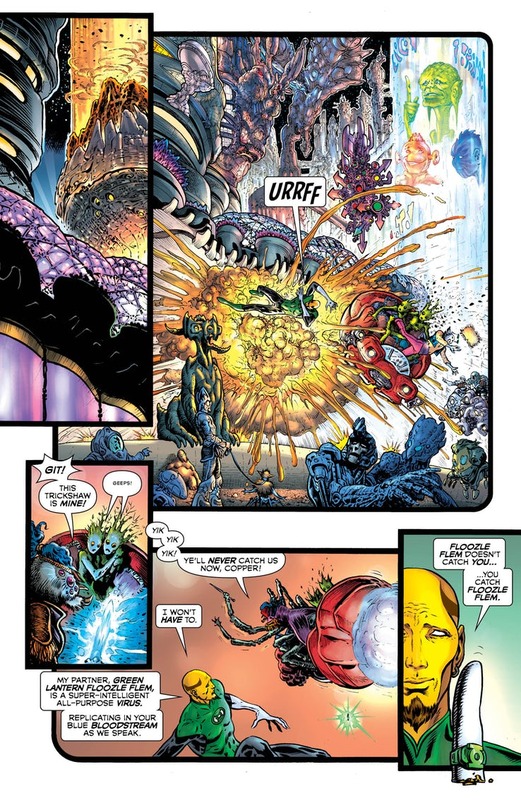 Considering the talent from the art team, the only real negative point I can make is that with Kubert, Lee and Romita Jr all putting in an appreciable number of pages into the book, the art does come off as inconsistent from a stylistic perspective. It is however, consistently very good. Hawkman’s memories by Kubert retain a classic feeling with clear, bold line work, while the lunar character interactions and the volcano escape from Romita Jr feel a little more loose, and the epic scale visions and dark cave scenes show off what makes Lee’s style so iconic for superhero work. Dark Days: The Forge is a very strong prelude to an event that I know very little about, but the creative team behind it guarantees I’ll be checking it out. This taste has only made me all the more excited about it, especially with the return of Snyder and Capullo for the first time since the end of their run on Batman. Check it out at your LCS or digitally now!